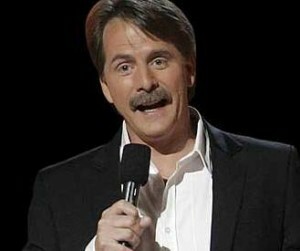 The Zarlengo Foundation presents country style comedian Jeff Foxworthy at 8 p.m. Sept. 12 at the Bellco Theatre inside the Colorado Convention Center, 700 14th St.
Tickets go on sale at 10 a.m. Friday for $45 to $65 plus service charges at www.ticketmaster.com or by calling 1-800-745-3000. Proceeds will benefit The Zarlengo Foundation, a Colorado-based 501(c) 3 non-profit organization whose guiding principle is to support families of learning disabled children. A portion of the proceeds from the event will be donated to schools and programs in the community that provide specialized education for children with learning disabilities, including but not limited to language-based attention and nonverbal disabilities such as dyslexia and attention deficit disorder. For additional information about The Zarlengo Foundation, visit www.zarlengofoundation.org. For information on sponsorship packages, please contact Kathryn Zarlengo at 303-357-5633 or kmzar@comcast.net.